YEREVAN, JULY 16, ARMENPRESS. 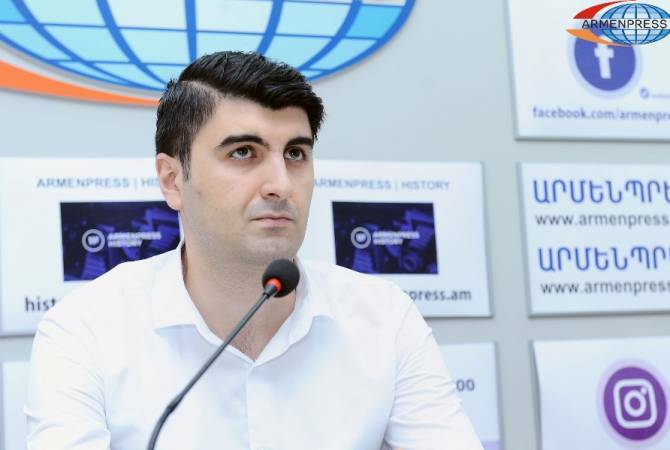 The formulations in the final document of the NATO summit relating to the Nagorno Karabakh conflict contain some contradictions, political scientist Narek Minasyan told ARMENPRESS. -How do you assess Armenian Prime Minister Nikol Pashinyan’s visit to Brussels in the context of the Armenia-NATO relations? -Firstly, I would like to state that the Brussels visit was of cognitive nature since this was Pashinyan’s first visit to Brussels as a Prime Minister, and overall the visit can be assessed as positive. As for the Armenia-NATO relations, the visit was quite important in terms of the contacts with the leaders of the structure and its separate member states which is vital for establishing ties and exchanging views on different matters. On the sidelines of the visit it’s necessary to highlight the PM’s participation in the meeting of the heads of state and government contributing to the Resolute Support mission in Afghanistan during which the Armenian PM delivered remarks. Armenia is taking part in the NATO’s peace operation in Afghanistan since 2010. And today nearly 130 Armenian servicemen continue conducting service in that country. It’s worth to mention that the participation in this mission not only contributes to the development of skills of the Armenian servicemen, but also positively affects Armenia’s international reputation. In fact, it’s a clear indicator that Armenia is not a security consuming, but a security providing country.